As Coke finds a way of telling us every Christmas, they invented the modern Santa Claus. 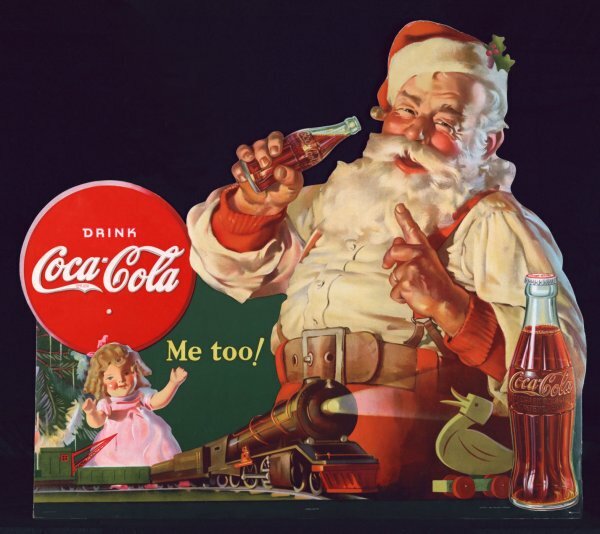 Starting in 1931, magazine ads for Coca-Cola featured St. Nick as a kind, jolly man in a red suit -- bright ads in an early era of high-resolution, color printing that didn't just co-opt Santa, but defined him through advertising. 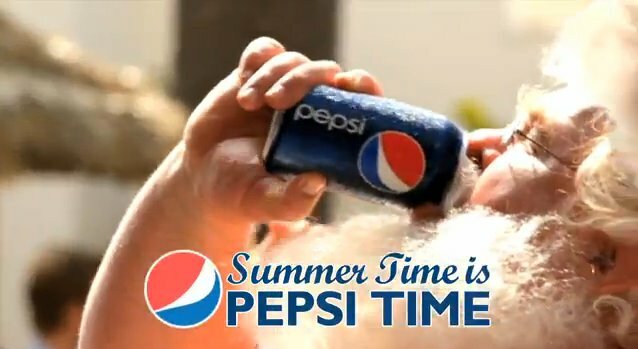 Pepsi started running an ad a couple months ago featuring Mr. and Mrs. Claus dancing on a beach with some elves and the standard collection of beautiful people who always attend these beach parties. He goes up to the bar to order a drink and refuses the two Cokes. "I thought you had a deal with... um... you know." You'd think Santa was ordering Pepsi with a double shot of rum in it from the shifty way he says, "I'm on vacation! I want to have some fu-u-u-un." And the elves saying, "Naughty!" "Nice!" when they see what Santa is drinking just adds to the idea of the forbidden fruit syrup. It's a cool, refreshing co-opting the Classic Coke Santa. 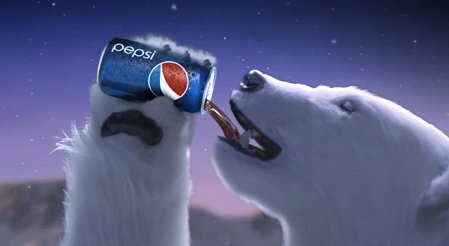 Well, not that cool or refreshing, but it is a smooth play by Pepsi to erode an 80 year old icon of their biggest competitor. But then there's the polar bear family. 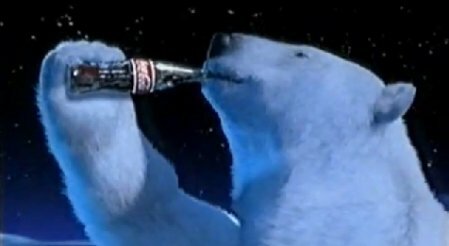 Santa belongs to everyone (except the Jehovah Witnesses who don't want him anyhow), but Coke has this other recurring Christmas ad -- a family of computer generated polar bears who enjoy the season with a Coke... Only Uncle Teddy comes to visit during the summer and the family throws away the bottles of Coke.